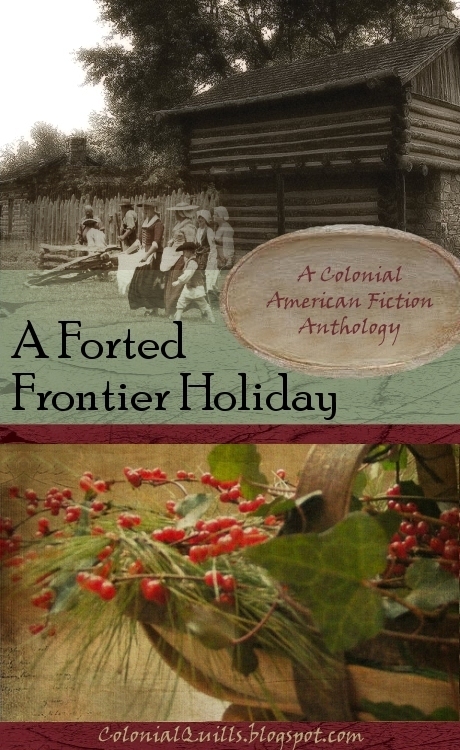 Today is the CONCLUSION of A Forted Frontier Holiday! A soft whicker and a warm breath preceded a nudge to Buckskin Samson's arm. He knew exactly who it was, U’sti, or “Little One,” and turning to the bay foal standing at his side, he rubbed the broad white path between its eyes, down to the slip of its pink nose. The rascally colt lipped at his fingers and turned sideways, flicking its tail and kicking up its back legs before darting away to its mother. A throaty chuckle rumbled from him and he returned to his work at hand, crafting the deer hide into a pair of soft suede gloves. Many days had passed since he had joined the fort with the Rousches. The kind family doted on their new addition, a girl born in the winter just like his promising young colt. Appreciation for their acceptance and welcome, as well as a sense of longing, swelled within him at every thought of the hardy German and his French wife. Their friendship meant a great deal, but the desire for family dogged him with the relentless energy of their many children. He had much for which to thank Great Jhezoos, not the least of which included surviving a harsh winter. But he had a new request, too. Several parties had joined their number in that time—soldiers, guides, travelers, couples, families. And, he hadn’t failed to notice, a few blushing maidens. He looked at the pretty doeskin gauntlets as he worked, and smiled with a glimmer of ambition rising within him. He had noticed a fair-haired a-wo-du-hi a-ta—a beautiful young lady, who had only scraps of old rags to protect her hands from the cold. If the good Lord would smile on Him again, perhaps these gloves would win him the favor of this young beauty, and soon, he would have a family of his own. Something Hannah Maclaren had never done in her entire life, for most of the choices controlling her existence had been made for her by someone else. She rubbed the throbbing scar at her wrist—and some of those decisions had been meted out to her in thoughtless and violent ways. From the time she was taken captive by the Shawnee, to the time they’d traded her north to the Seneca and finally exchanged in a captives’ trade as an indentured servant to a German family, Hannah had not made one decision concerning her own life or how she would live it. But since she’d become a bondservant to the Yosts, the elderly couple had treated her tenderly these four years past, more like a daughter than a servant, and with their guidance, her faith in the Lord and her self-reliance had grown. I thankest Thee O Lord, for placing me in their care. A bleak winter sun bathed the log walls of Fort Providence in a wash of sepia light. Hannah shivered in the bracing January air and lifted the hem of her simple blue linen frock, taking care against the dust that puffed up as she broadened her stride to cross the fort’s parade ground. Her Mistress had given her the dress for Christmas, even as the woman’s thoughts still must have dwelt on her husband’s last days. But Hannah had nothing to give Mütter Yost in return. Nothing to ease her pain or show her how much Hannah loved her. Master Yost had passed away shortly after they’d taken shelter in the fort. Hannah’s heart swelled at the bittersweet memory, and she swallowed, holding back the sting of tears in the corner of her eyes. For on his deathbed, Master Yost had released Hannah from her contract. She was no longer a bondservant. She was free. And with that freedom Hannah experienced an overwhelming sense of fear and wonder. And therein lay her dilemma—the call to face responsibilities and make decisions for herself. A broad-shouldered figure, his arm draped against the fireplace mantel turned to her, the half-light from the fire dancing over his features. “LaLoup?” The basket fell from Hannah’s hand, and turnips bounced and scattered along the floor. She ran to him and the scout gathered her in his arms. Hannah closed her eyes as he pressed his cheek against her hair and she inhaled the fresh scents of leather and pine that surrounded him. She rose and turned to LaLoup. Hannah caught the soft shine of the brushed silver cross glistening against the smooth tan of his chest. It was then she knew trust; that his commitment to her was as strong as his belief in his Savior. He nodded and smiled. “I love you, LaLoup …and would be honored to be your wife.” Hannah rested her head against his hard chest, and heard the beating of his heart in rhythm with hers. It seemed as if God had placed him in her life like a bulwark, in times of trial and of blessings. She felt a sense of peace, like a warm blanket envelope them. The long building that served as barracks rattled with each gust of wind outside. Icy sleet pelted the wooden structure drumming a tattoo in Johan Rousch’s head as he stared at their latest newcomer. “So we are free to return home?” He ran a hand back through his hair. Suzanne would be delighted, as would the children. As for himself, he would no longer have the easy cameraderie of the other men inside the fort. The young man who’d surveyed their land, years earlier, stood before him in military uniform. “Governor Dinwiddie has sent me to Pennsylvania for discussions with the French. And we believe, based on our scouts’ reports…” The lieutenant glanced from William Christy to Shadrach Clark, both men attired in buckskins, standing just inside the barracks building. LaLoup entered through the center door, chill air accompanying him and stirring the fire. He nodded at Johan and the other scouts but fixed a wary gaze on their newcomer. “We will join with Lt. Washington and his Virginians and follow him into Pennsylvania.” Christy’s crisp tone held a warning. Johan swallowed. He’d left the Palatinate, a land torn by war—had lost all his older brothers due to invasions from the French. Now, in this new land, he had the sensation of standing on a precipice, one which could affect his entire family and his friends. William Christy’s dark gaze fixed on Johan’s former surveyor. The two men had much in common, yet by appearance one would never guess. Young George Washington, dressed spotlessly, despite his long travel, gave the air of one born unto nobility. Yet it was Christy’s father who served in parliament and held the title of Lord. And the grandson, dressed in buckskins, with a long rifle propped nearby, appeared sprung from the very woods of Virginia. The two scouts exchanged a glance. Shad caught Johan’s eye. “We don’t take orders.” William’s words were accompanied by the thump of his rifle on the wooden floor of the barracks. Shad lifted LaLoup into a bear hug and once he released him, William shook the soon-to-be-married scout’s hand. “I wonder if I surveyed that land, too?” Lt. George Washington whispered into Johan’s ear. We sincerely hope our readers have enjoyed our anthology! Many blessings in the year ahead!!! Oh Wow! Wonderful ending, yet so sad to see it end. Adding Washington in there was sheer genius! I love it! You ladies deserve a great big BRAVO!!! Thank you so much for this wonderful gift. May God bless you all as you continue to write wonderful stories for all of us to enjoy. Hugs! Bravo, ladies! A job well done. Thanks so much, Debbie! So glad you enjoyed it!!! Blessings back! Excellent job, Ladies! Great ending and loved the surprise guest! I have enjoyed this series so much. Thank you for sharing your talents, and I wish you all much success with your writing. So enjoyed this continuance, and especially the tea party meetings! Be blessed and thank you for this anthology of so many writers. Very enjoyable as each part fit together. With the story beginning in the winter of 1753, I had to "look up" further information on when George Washington met Martha ~ this source (http://marriage.about.com/od/presidentialmarriages/p/gwashington.htm) would have made him 21 years old in the anthology timeline. 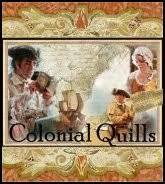 "George and Martha were introduced by friends of Martha when George was on leave from the French and Indian War. George only visited her home twice before proposing marriage to her 3 weeks after they met. George and Martha, both 27 years old, were married on January 6, 1759 at her estate, White House, in New Kent, Virginia." http://www.newkent.net/Map6_Martha.gif This map is interesting, showing the distance between Providence Forge and New Kent with White House upper left. I had a fun time! May we meet again at another tea party. Kathleen, we are in January 1754, which I should go back and put at the top of this post! And George's bday will be in a month! He's a young man about to turn twenty two. New Kent, btw, is not very far from where I live. It is a pretty area just northwest of Williamsburg enroute to Richmond. Oh Ladies....What are we going to do now?! Kathy-- I LOVE Buckskin Samson (he's not quite taken yet lol! )And he loves horses! But....I wish I knew who he had his eye on at the fort. Blessings on your future writing--can't wait to see what you come up with next! Lovely, lovely writing! Carrie--WOW! Your portion blew me away! What an ending--well done! The research was so well blended into the story, too. Glad we did this--thanks for the opportunity! <>. I really enjoyed your and Kathy's sections. Yours made me cry again! What a lovely romantic scene!!! Thanks, Pat!!! Pat and Carrie,I absolutely loved your endings. LaLoop is oohlala! And what a great surprise and homage to have GW stop by the fort. This was terribly fun and I am so blessed to have been a part. Thanks, once again! Enjoyed your section, Kathy!!! This has been so fun and so glad you were on board!!! Hugs! What a wonderful ending! I especially enjoyed how you worked in the passage from Ruth. That was very touching. Glad you enjoyed our wrap up, Kay!!! Blessings! Thanks so much, Maxie! 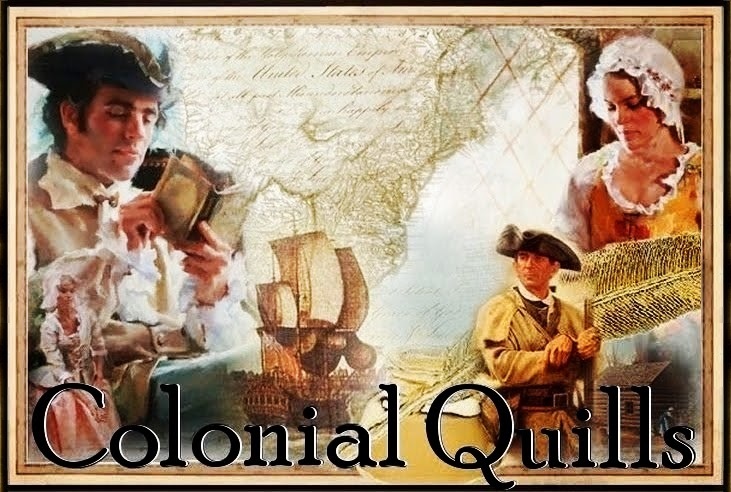 I should have you be a Beta reader for my colonial novella! Kathy Maher and Pat Iacuzzi also helped with this section to make sure our scouts, especially, got a last "viewing" before we said goodbye to our readers! You are such a blessing!!! Loved the research and the stories and the people. Thank you, ladies for your work. Judith, some of the contributors are interested in expanding their storylines and already have manuscripts with these characters in them. This has been a little "taste" of their work. I have a novella manuscript completed that features several of the characters--Shadrach Clark, Colonel and William Christy. That is being submitted for publication soon.